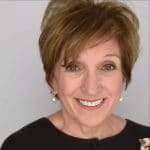 Susan Shapiro is the founder and president of shapiroassociates, a national consulting firm that helps to build nonprofit institutions through best in class strategic fundraising and programs. We bring together seasoned fundraising consultants with subject matter expertise to help nonprofits identify their organizational assets to result in greater contributed income and a stronger base of donors. Shapiroassociates has a deep bench of experience in developing customized assessments of development operations, guiding feasibility studies, capital campaign plans, and development expansion programs for nonprofits. Susan is a senior development professional with more than 30 years of experience in fundraising strategy, marketing, consulting, coaching and program planning for some of the nation’s leading not for profit and healthcare institutions. Prior to launching shapiroassociates, Susan served in senior management positions at the Partnership for NYC, where she led a $28 million campaign for education reform in NYC’s public schools. She also worked at the Local Initiatives Support Corporation where she organized and managed an unprecedented five-year national $200 million campaign that doubled the donor base and exceeded its goal ahead of schedule. Susan also served as Director of Major Gifts at Mount Sinai Medical Center in New York City. Susan discovered her passion and honed her fundraising skills at Columbia University where, as Senior Development Officer, the arts and sciences community doubled its unrestricted annual funding. She has been a coach and mentor to dozens of young and transitioning professionals interested in the sector and trained board members and staff in solicitation techniques, cultivation programs and donor development. She is a board member of the Association of Fundraising Professionals – NYC Chapter and a long-standing member of Women in Development.